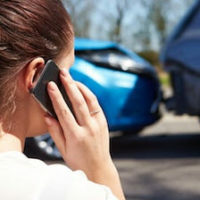 Perhaps you’ve been involved in an auto accident and you need money right away to help you get back on your feet. Maybe your car is broken and you need to get it fixed, but you can’t wait for the insurance company to make the repairs. This type of problem is very common after a personal injury, and many clients who hire personal injury attorneys wonder if they can just borrow a little cash against the potential settlement or verdict in order to get by temporarily. It’s an honest and valid question, but it’s a question that presents many potential pitfalls. At the Law Offices of Todd K. Mohink, P.A., we represent clients who are injured due to someone else’s negligence. In general, if you are thinking about taking out a litigation loan, there are a few things you need to consider. What is a Litigation Loan? Technically, these arrangements are not considered loans. They are considered non-recourse financing agreements. This is a clever yet key distinction. A loan, by definition, must be repaid regardless of changes in your life circumstances. For instance, if you charge $1,000 to a credit card, you owe the money even if you lose your job. A no-recourse financing agreement is contingent upon your successful recovery of money in your case. So, if you borrow $1,000 from a litigation finance company and later lose your personal injury case, you owe them nothing. As you can probably imagine, this means huge risk for the lender. For that reason, interest rates are far higher than any traditional loan. In fact, many litigation finance arrangements have annual percentage rates in excess of 200-300 percent! Not in Maryland. According to the National Conference of State Legislators, every state has different rules about these arrangements. In some states, legislation has been passed to curtail abusive and usury interest rates. In other states – like Maryland – there remain no affirmative regulations on the industry. Most personal injury attorneys actually do not like litigation finance agreements, because they tend to give plaintiffs unreasonable expectations and deflate the potential value of a settlement. In other words, a plaintiff who may be thrilled about a particular settlement may become disheartened and not want to settle once they discover that a large share of the settlement funds will have to be paid back to a lender. This can create challenges for an attorney who is trying to advise a client as to the realities of a case. Sadly, tens of thousands of people find themselves in dire need of a loan during litigation. These high-interest loans seem to remain popular among plaintiffs who are struggling to make ends meet. Nevertheless, in a recent case out of Colorado, Oasis Legal Finance Group, LLC v. Coffman et al., Case No. 13SC497 (Colo. Sup. Ct. 2015), the Colorado Supreme Court held, among other things, that in the State of Colorado these types of agreements satisfied the definition of a loan. Therefore, they are subject to certain lender regulations pertaining to usury laws and unfair and deceptive practices. Today, Maryland still has no such restrictions. If you are facing financial hardship after a personal injury, contact the Law Offices of Todd K. Mohink, P.A. to get solid and grounded advice to help you preserve your potential financial future while pursuing justice.